GPS tracking devices produced by “Xexun” are suitable for fleet management, children or pets. It does not matter what object has to be protected from stealing or changing its own track, portable vehicle tracker alerts about every unforeseen situation. 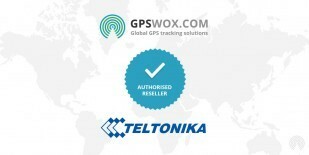 Select Your favourite GPS tracker on our online catalogue and buy it for reasonable price. Xexun GPS Tracker devices support GPS Tracking Software provided by GPSWOX. Do not wait and get your own Xexun GPS Tracker device which support GPS Tracking Software.